There was much excitement when Ilia, purveyors of fabulous lip products, launched a tinted moisturiser and concealer at the end of last year. I’ve reviewed the Ilia Vivid Concealer here and now it’s time to take a closer look at the Ilia Sheer Vivid Tinted Moisturizer SPF20 to give its full name. 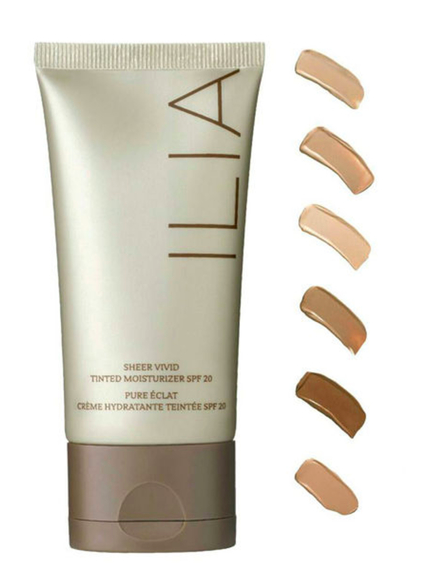 I’m on a mission to find natural and organic complexion options and the Ilia tinted moisturiser seemed a good place to start. The ingredients list contains mostly organic ingredients and lots of hydrating oils and botanicals so I was keen to give it a try. Though not a perfect match, Muriwai T6 was the best colour fit for me. The sheer coverage gives quite a bit of leeway with the colours. As described by Ilia, Muriwai does have neutral undertones. My skin has warm undertones so when first applied, the tinted moisturiser looks a teeny bit grey on my skin but after about 10 minutes it warms up on my skin. The texture is between a lotion and cream and smoothes on to the skin easily with finger tips. The silky feel is no doubt partly due to the silicone included. The coverage is very light, which is to be expected with the words “sheer” and “tinted moisturiser” but still enough to make the skin look even. It’s a base for Good Skin Days. Ilia does state that Sheer Vivid Tinted Moisturizer has a semi-matte finish which is not my preference as I think my dry skin looks better with a more dewy finish. I think the finish would probably work well on normal and oily skin. I first tried the Ilia Tinted Moisturizer in the winter when my skin is at its driest and tetchiest, and honestly I really didn’t like it. At all. I felt it accentuated any dehydrated areas on my skin (hello Atacama Desert forehead) and the neutral undertones pulled grey in the cold winter light. I recently tried it again and I liked it better, colour and performance wise. My skin is more hydrated in the spring and that makes a difference. By the way I NEVER wear tinted moisturisers on their own on bare skin, I always have moisturiser and/or oil underneath. If you’ve got dry skin like me I don’t think this tinted moisturiser will be a sure winner for you. The benefits of the hydrating ingredients such as aloe vera and hyalauronic acid are slightly negated by the drying effects of the zinc oxide and titanium dioxide. 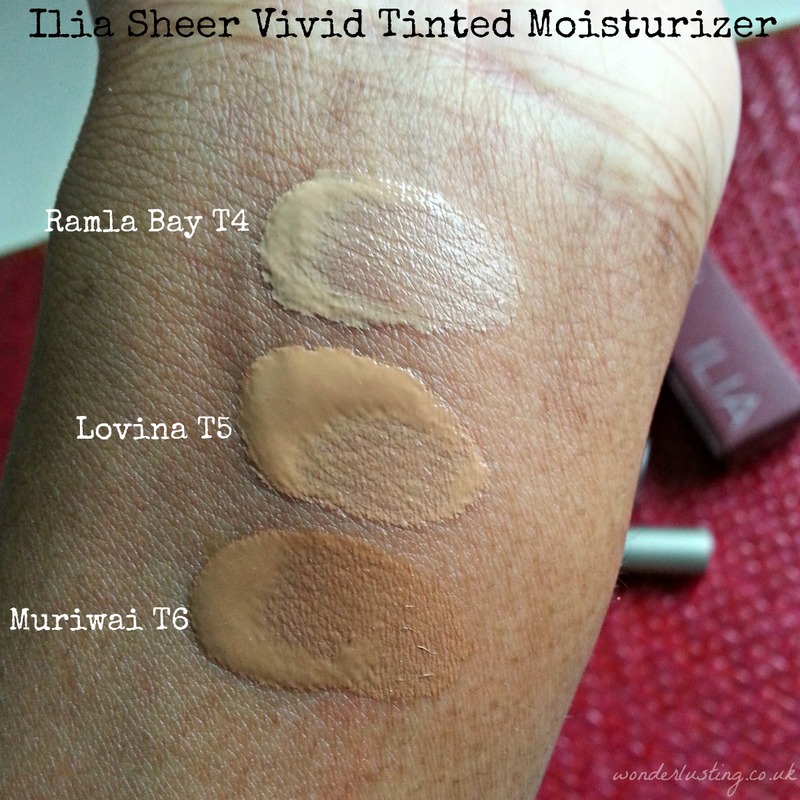 So in short, the Ilia concealer gets a thumbs up from me but I didn’t fall madly deeply for the Ilia Sheer Vivid Tinted Moisturizer. I tried a sample of this and wasn’t impressed…I have oilier skin and found this a touch heavy feeling, plus it was a bit TOO sheer for me (and I like sheer coverage!). I’ve loved all the other Ilia products I’ve used so was expecting great things but nope like you it didn’t wow me.